The marketer today can gain substantial advantages from the mobile app revolution. Lot of useful and effective marketing software are available in the form of mobile applications. From uploading blog posts to tracking campaign insights, these apps permits the marketers to access information at their fingertips rapidly and easily. There are number of such apps available on play-store, here some of the top-most of them. Buffer allows you to schedule posts on various social media accounts such as Facebook, Twitter, Google+, LinkedIn etc. Also you can take the follow-up with insights on the performance of each update. 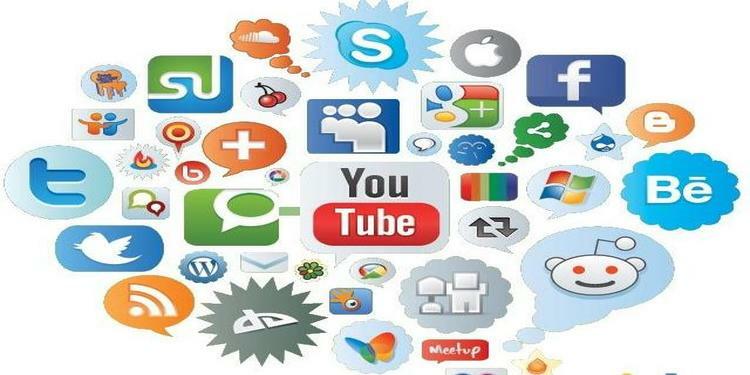 You can get the instant and easy access to all your social media accounts. And Hootsuit also provides appropriate statistics which will help to take decisions on how to increase your website traffic. This Facebook app for page management will give you complete pleasure to control the pages easily and conveniently. It is the best app for super busy admins who have to make changes but are running out of time. WordPress is one of the most popular blogging tools for formal as well as informal updates. You can easily post or edit your blogs through your mobile or tablet and also can manage the visitors’ comments. You just can’t afford to don’t have this app in your smartphone. Nimble is a great way to integrate social profiles of all of your contacts. So that you can always stay connected with your network. While sitting on your desk in free time or on the train way back from workplace. You might want to read the articles that you wanted to read but couldn’t. You can use Pocket to quickly read those saved articles. This app has the ability to keep you more organized than you ever thought. You can you take notes on-the-go and also can also create to-do lists, and link everything between your phone, tablet and computer. As all know Google analytics is the most essential part of digital marketers’ life. With the GA app you can check in on key metrics and real-time data with a few simple clicks. The Prismatic app learns from your content tastes and ends up finding and delivering content that is provided to you. It gets smarter the more you make use of it. This email management app will be helpful in saving your time. You can manage your list and your campaigns on the go. Send campaigns, view stats, and manage your list, all from your phone or tablet. There are number of such apps available in the play-store. Install the apps that found important for your work according to you phone’s compatibility. This list of apps is not conclusive; we welcome your suggested apps that you find useful when it comes to running your digital campaigns. Let us know in the comments if you know any other helpful apps. To know more about digital marketing and other similar tips follow our blogs at Search Engine Libro and Cridor . Cridor is one of the best digital marketing training institutes in Delhi, awarded as one of the Top 10 IT and educational Training Providers by International Council of Studies for Second Consecutive Year.